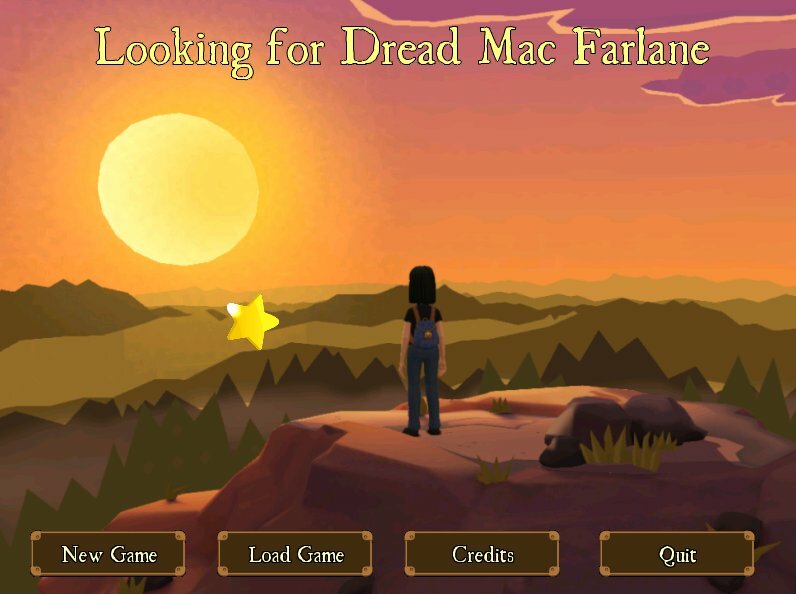 Hi everyone Thanks to Paolo, here is the english translation of my game "A la Recherche de Dread Mac Farlane" ! Graphics created with Plotagon. Scripted with Adventure Game Studio. Creator: Marion Poinsot, based on her graphic novel. Translation by Paolo. Great, it's good to see this out in an English version! Recommended - definitely put it on your to-play list. The english trnanslation does not work. An error occurs saying "The translation file is empty". Did you download the good version? The english one ? There is only one download link and one version. I have donloaded it 3 times now. The english.tra file has the size of 1 kb. The error stays. Please post the direct download link here. Your link redirects me to this site "http://marionpoinsot.fr/video/"
There is only one "Telecharger la version Windows" with "http://marionpoinsot.fr/jeux/pirates/recherchedread.zip" as link. By the way ... i am in Germany. Mayby your link only works in France or you have a special cooky on your browser. EDIT: You might want to use a different upload site and make it into two different downloads. Sorry, a mistake in the name of the file. It should work now. "lookingfordread" sounds much more anglaise. Posted EDIT same time that you asked. EDIT: And of course: THANK You !!! I just finished this game. I really want to compliment it highly. - Graphics and sounds are beautiful. A lot of attention to detail. The smooth animations at the bottom of the screen give the game a really nice polish. 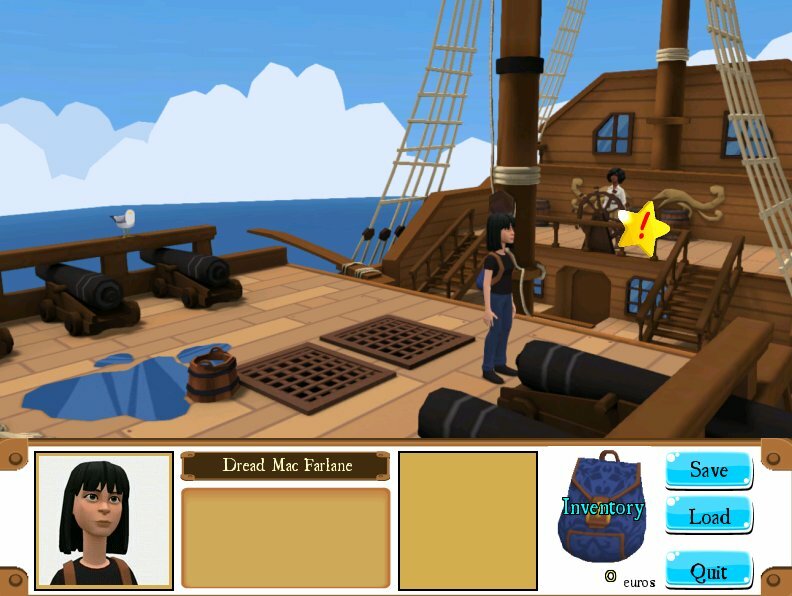 - The game is well-paced with the story. I could not stop playing because of this. I just wanted to see what happens next as I complete tasks and solve puzzles. - The puzzles! Well-designed. Well-planned. Great combination of puzzles of different variety. I never found them too easy or too difficult. This is another reason I just could not put the game down. I want to point out that the inventory is quite unique. Most games you have to actually use the items in inventory whereas in this game merely possessing the inventory item "uses" itself for you. I am not saying this is a problem. I have to admit that I never found myself in a good old "use everything on everything" scenario. As beautiful as the backgrounds are, it was sometimes hard to figure out where a room exit is. Sometimes it seemed to have been just plopped in middle of the screen somewhere. I also found it a bit different that there is little in-game animation. Characters just appear where they are going without walking. Items are received by the character saying "I received the item". I felt it might be more polished to show a bit of animation. Lastly, I found myself stuck twice (I did need one hint) because despite having what I THOUGHT would be the items necessary for a task and thinking that I SHOULD be able to proceed, I wasn't actually ready but there was no indication as to why. Considering the size of the game it's hard to predict what the player will expect to happen and when but perhaps a bit more pre-release playtesting would have refined this aspect. My overall rating for this game is that it's a MUST PLAY for users of all experience levels. More advanced gamers will find the puzzles easier but the graphics and story make the experience a complete delight. A Dutch walkthrough by Peter - thank you Peter ! I already sold the console and had no clou what to do next. Then I read in the dutch WT that she's supposed to go to sleep but I couldn't trigger that event - she didn't want to sleep. So I started over and went to her room directly after the conversation in the café and there was all that stuff with Tinkerbell and so on. I'm in Neverland and Dread is in prison. When I klick on the prison door she says she could blow up the lock with the blackpowder and use the rope as a fuse but she has no way of lighting it - I have the stick with fire, shuldn't that do the trick or am I missing something? Normally you have everything you need Maybe load a previous saved game and try again once you have everything ?.. Page created in 0.38 seconds with 26 queries.